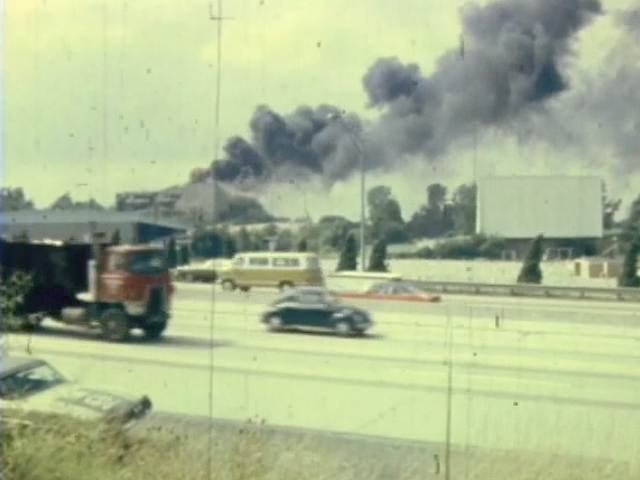 COVINGTON, Ky. – A rich, colorful and century-old piece of Northern Kentucky history went up in thick black smoke and raging orange flames that destroyed the Lookout House Supper Club on Aug. 14, 1973. The spectacular late-afternoon fire stopped traffic on I-75/71 and caused several accidents, police said. More than a thousand people gathered along busy Dixie Highway to watch, media reported. The fire could be seen for miles, even across the river. Under mob control at times, the Lookout House had been a glitter palace of illegal gambling, big-name nightclub acts and fine dining for decades. Frank Sinatra and Mary Martin crooned there, Jimmy Durante and Zero Mostel filled the main hall with laughter, and some of the top big bands, including Duke Ellington and Lawrence Welk, filled the dance floor. The three-story building had seating for 2,200 with 11 restaurants and banquet rooms. The Lookout House, at 1721 Dixie Highway, became the preeminent night spot in Northern Kentucky in the 1930s after the mob burned down its chief competitor, the Beverly Hills Supper Club. 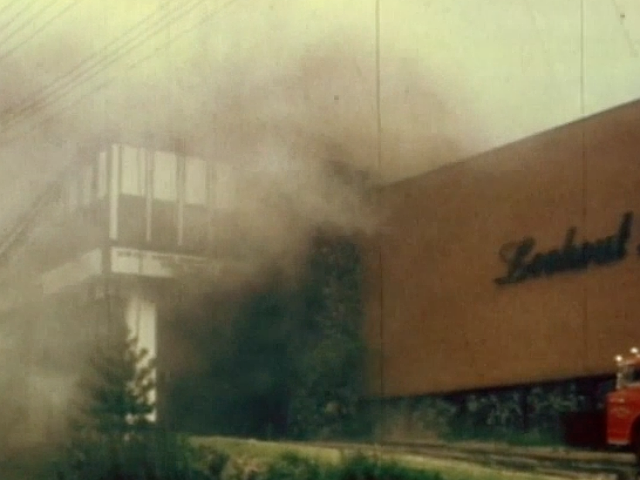 “Beverly Hills was, perhaps, a bit more chic, but the Lookout had an atmosphere that was livelier and uninhibited,” WCPO reported on the night of the Lookout House fire. Decades later, both clubs would come under the same owner and meet the same fate. Lookout House fire seen from I-75/71. With its posh gambling rooms, the Lookout House drew high rollers from across the country until an anti-gambling U.S. senator started a federal crusade in the 1950s and a Kenton County judge joined in to ice the dice. After raiding the club one last time, local authorities even held a bonfire and burned the gambling equipment – an omen of things to come. The Lookout House had its origins during the Civil War, according to lore and old newspaper reports. It sat on a hillside atop Fort Wright with an unmatched panoramic view of Cincinnati and Northern Kentucky. As the story goes, Union troops placed a lookout tower on the hill, fearing an advance by Confederate forces. The Confederates stopped short, but one lookout would lead to another. The first business on the site, Rush’s Tavern, might have opened before or during the war, according to Northern Kentucky historian Robert D. Webster. But it was most assuredly operating in the early 1870s. It was mainly used as a stopover for men bringing livestock into Covington, Webster wrote. Before 1900, new owners built a pavilion and hosted weddings, dances and other social events. They also built an observation tower for customers to look out over the countryside and changed the name to the Lookout House. In 1912, a well-known Covington saloonkeeper named Bill Hill bought the property and kept business going through Prohibition, according to Webster. In 1933, Hill sold it to Jimmy Brink, and that’s when the Cleveland syndicate busted in. The syndicate first offered to buy Beverly Hills. After the owner refused, the club burned down the next day, Webster said. Then the mob went to Brink, who cut a deal. He sold but continued to operate the club for the mob. Smoke covers the front entrance to the Lookout House. The Lookout House flourished until the early 1950s when gambling came to a halt as a result of a federal organized crime investigation led by Sen. Estes Kefauver. Kenton County police raided the business and revoked its liquor license. Soon after, Brink and an another man died in a small plane crash in 1952 after testifying before the Kefauver committee. The Lookout House stayed closed, except for occasional private parties, for 10 years. In 1962, brothers Richard and Robert Schilling bought the business and revived it as a gourmet restaurant and nightclub with national acts. By 1971, though, the Schillings had turned their attention to another venture. They bought the Beverly Hills property and turned it into the “Showplace of the Nation” with appearances by Sinatra, Dean Martin, Sammy Davis and other A-list entertainers. The Schillings sold the Lookout House, next to the Dixie Gardens Drive-In and Ice Bowl, and it went into decline under corporate ownership. 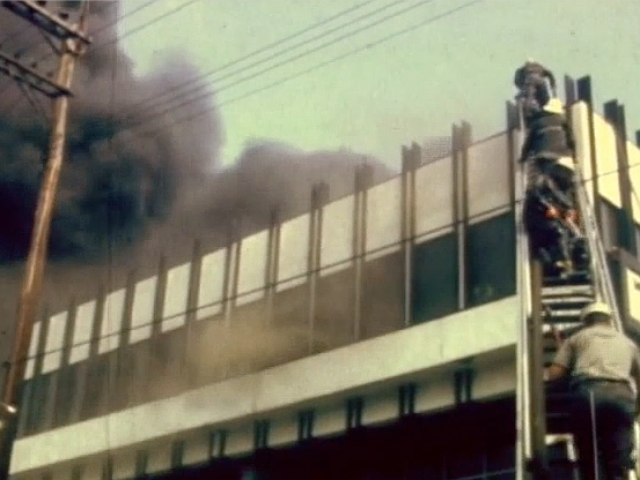 Thankfully, the fire at the Lookout House did not match the tragedy of the 1977 Beverly Hills fire that killed 165 people. There were no deaths or injuries in the Lookout House fire. But it was perilous for a few employees in the building, firefighters and even some spectators on the street outside. Firefighters climb to the roof. The business had closed for renovations six weeks earlier, except for a few private parties. There was no renovation work going on the day of the fire. Four employees were inside holding a meeting. The employees said they didn’t know the building was burning until firefighters rushed in. “Get the hell out of here! The place is on fire!” firefighters said to the four, according to Pam DeOrian, the banquet manager. DeOrian told a Cincinnati Post reporter she might have started a grease fire when she baked chicken for lunch in a broiler in a rear kitchen. One firefighter told WCPO he thought the fire started in the upstairs ballroom. "What made it go up so fast?" the reporter asked. "At this point I would have no idea," the firefighter said. The cause of the fire was not officially determined. The fire was reported at 3 p.m., but only puffs of smoke were visible, according to news reports. As fire crews responded, people started gathering around to watch. Firefighters went inside to try to find the source of the fire, but the building was a maze of corridors and there was intense heat, so they withdrew. There was no outward sign of what was to happen until 5:10, when orange flames burst through the front of the building. More fire units were called. At 5:40, the top half of the front wall collapsed, throwing bricks onto the street. Luckily, firefighters and spectators who had been standing in that area had retreated a few moments earlier. By 6 p.m., the building was engulfed. At 6:30, a side wall collapsed and the center of the roof had caved in. About 140 firefighters from across the area responded, news reports said. They had to make do without high-ranking fire officials who were attending a statewide conference out of town. Some firefighters said there were not enough supply lines to fight such a large fire. The Lookout House was not doing well financially and it was scheduled to reopen at the end of the month as restaurants and banquet rooms, but without live entertainment, reports at the time said. The building owner, Ohio Real Estate Investment Corp., set the fire damage at $2.5 million. One man who watched the fire was Jim Berger of the Charles H. Bilz Insurance Co. of Covington. Berger said his company had insured the Lookout House and its contents for $1.7 million.